Morris, the assistant director of dance at the University of South Florida, will deliver two public lectures on her groundbreaking research in dance and disability studies. Texas Tech University's School of Theatre & Dance, housed within the J.T. 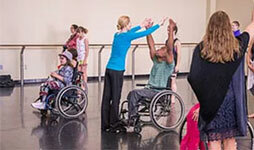 & Margaret Talkington College of Visual and Performing Arts (TCVPA), has partnered with Student Disability Services to host innovator Merry Lynn Morris, assistant director of the dance program at the University of South Florida. Morris, whose research focuses on dance and disability studies, will lead several guest lectures and workshops on Monday and Tuesday (Oct. 30 and 31). All events are free and will be held in the Creative Movement Studio located at the corner of Glenna Goodacre Boulevard and Akron Avenue. Two lectures on Monday are open to the entire Texas Tech and Lubbock communities: 12:30-1:45 p.m. and 5:30-6:30 p.m. in Room 108. Movement for the Performer students may attend a closed lecture from 8-8:50 a.m. Monday, while dance and theater students and faculty are invited to a lecture from 9:30-10:50 a.m., both in Room 108. Morris also will lead a movement and lecture workshop for Choreography I students from 11 a.m. to 12:30 p.m. in Room 101. Dance and theater students and faculty are invited to attend the workshop. 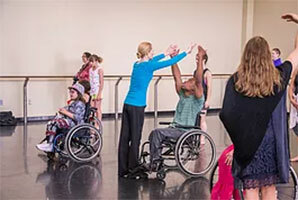 "Dr. Morris's research uniquely and innovatively contributes to the intersections of dance and disability studies," said Ali Duffy, associate professor of dance at Texas Tech. "She will discuss her creation of a wheelchair for dancers, a project that has garnered international acclaim. She also will discuss her teaching at the University of South Florida and performance with REVolutions Dance, a mixed ability company in Tampa, Florida." 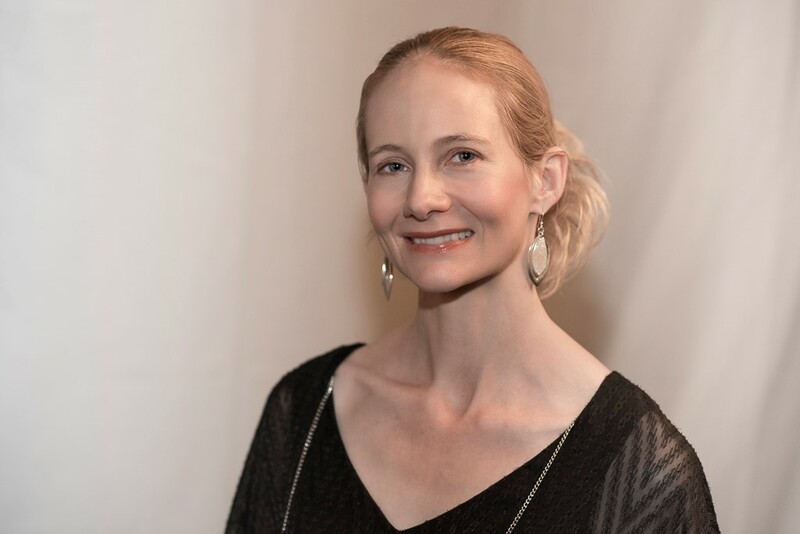 Morris is a full-time faculty member at the University of South Florida with 20 years' teaching and research experience, including ballet, Laban movement analysis, research in dance, integrated/inclusive dance and dance kinesiology. Her interest in disability needs was the result of caring for her father over a 21-year period, and she began exploring integrated and inclusive dance in 2002. She serves on the board for VSA of Florida, the statewide arts and disability organization. Morris has earned five U.S. patents for her innovative work in re-conceptualizing the design of assistive mobility devices, the Rolling Dance Chair Project. The intersections between dance, disability and assistive technology design are a prominent focus of her creative and scholarly work, which asks how assistive technologies can work with the human body to enable artistic expression and healthful mobility. Morris has been featured and interviewed on NPR's Science Friday, MSNBC, the Katie Couric show, PBS, CNN, Reader's Digest and Inventors Digest. 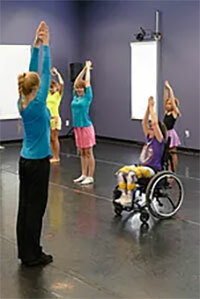 Her invention has been featured at the Smithsonian Institution in Washington, D.C., and in October 2014, her research in assistive mobility devices, as well as ballet pedagogy, was presented at the International Association of Dance Medicine and Science Conference in Basel, Switzerland. Morris has been published in the Journal of Dance Education, the Journal of Research in Dance Education, the Journal of Humanities in Rehabilitation, and Medical Problems of Performing Artists. Morris is a member and presenter within multiple organizations including the National Academy of Inventors, the National Dance Education Organization, the International Association of Dance Medicine and Science and CORPS de Ballet International.